I definitely would’nt blame lactose intolerance on why they are picky about food. I think it is just plain “being a normal kid”. I have never met a child who wants to eat anything and everything. My 18 month old had a bit of a phase where he was like that – I loved it, because it was so easy. But it only lasted a few months and he was soon spitting things out and throwing entire plates of food onto the floor. It is so frustrating hearing the whines at dinner time about why we have to have this or that and how they wished they could have something else. My oldest will be 6 this week and he is the hardest to deal with when it comes to food. His sister is 18 months younger, but she follows what he does – so it becomes a bigger battle because they both begin whining and complaining. I have seen some moms give in to this and wind up preparing something totally different for the child. But I think that is completely ridiculous. This just shows the child that they can get what they want when they whine. My husband and I were talking about this tonight when I was making a Sunday evening light dinner since we always have a big lunch. I made chicken and melted cheese on crackers. Well, my son didn’t want the chicken. He just wanted the cheese. But I said no and said if he doesn’t like it he is not going to eat anything. Am I being too rough? I really don’t this so. Of course there are times when your child is really not going to like certain things that you make. 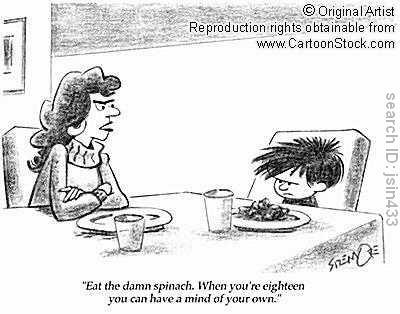 Don’t expect a child to be happy about spinach or liver. So, you may need to improvise a little. But if you are making a meal for the rest of your family and one child is refusing to eat it – I feel that it would not be healthy for you to cook something entirely different for that child just to please them. It can become a manipulation. What do you think? Do you agree? Well, anyway, I did a little research on the subject of children who are picky eaters and I came up with a bunch of great resources. First, check out this video. If you are reading this post on Facebook, you will probably need to click on the post title to go directly to my blog to view the video. Be creative in how you serve food -child like to scoop and dip. As a parent, when eating with your child – show lots of expression about the food and talk about how much you like it. Children take cues from us. Make it a rule that your child has to take at least one bit of whatever food you make. Research shows that it can take 10 exposures to help acquire a taste for the food. I also found these great resource as well that you should check out for more info on how to deal with a picky eater. From reading some of the above resources, I came up with a list of more things that may help with children who are picky with food. Some I am already doing and some I am going to try. I sure have learned a lot! This is why I love blogging! 🙂 How about you guys – any extra tips? 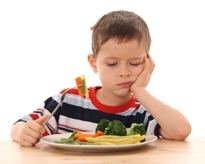 Do you have a child who is a picky eater? How do you handle it? I would love to hear from you.